By applying their method to analyzing data from previous studies of 21 different autoimmune diseases, the research team has deepened scientific understanding of the genetic underpinnings of a wide range of these disorders. They also found the specific immune cells most responsible for the diseases. Their study is published online on October 29, 2014 in Nature. The researchers examined a wealth of data from 39 large-scale studies called genome-wide association studies (GWAS). Teams of scientists in recent years have conducted GWAS — typically enlisting thousands of study participants — to identify large blocks of DNA within the human genome within which genetic variants are implicated as risk factors for common diseases. But examination of GWAS data to date has seldom pointed to altered proteins, as surprisingly few protein-encoding gene variants within these broad swaths of DNA have been associated with the diseases under investigation. Instead, the genetic risks identified through GWAS more often appear to be associated with DNA variations that do not reside within genes. The nature of this risk has defied understanding until now, fueling a perception that few medical benefits have thus far emerged from large-scale studies of human genetic variation being conducted in the wake of the initial Human Genome Project. In the new study the researchers found that the presence of specific genetic variants in different autoimmune diseases can alter patterns of activity of genes in particular ways that affect functions of the immune system. This was true despite the fact that the genetic variants are not within genes. To make their discoveries, the researchers developed software and used next-generation sequencing techniques to probe “epigenetic” characteristics of specialized immune cells, in which gene activity is affected without changes to the DNA sequence itself within the affected genes. Although DNA exists within cells as long, stringy molecules, DNA can bend back upon itself with the support of the chromosome’s structural proteins, so that one piece of DNA may interact with another. Enhancers fold in this way to bind to DNA switches that turn genes on. In general the enhancers identified in the Nature study as playing a role in autoimmune disease were DNA sequences that did not match DNA-sequence motifs previously thought to be essential to enhancers, and had not previously been seen as having any functional role. “Once again, research is revealing new meaning in the world of DNA once thought of as junk — short, seemingly random DNA sequences that in fact serve meaningful roles in human physiology,” said Alex Marson, MD, PhD, UCSF Sandler Faculty Fellow and the corresponding author for the study. By painstakingly mapping enhancers in specialized immune cells, and by tracking down patterns of altered gene activation that resulted from the presence of variants found in GWAS studies, the researchers identified patterns of activity within the genome and cell types associated with the autoimmune diseases. Many autoimmune diseases were associated with immune cells known as T helpers. The authors suggest that genetic variation may be tuning the response of these key immune cells to stimuli within their surroundings to increase the risk of autoimmunity. 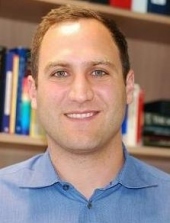 Marson initiated the scientific collaboration while he was an MD/PhD student at Harvard and MIT and a medical resident at the Brigham and Women’s Hospital, joining together with the senior scientists for the study: Bradley Bernstein, MD, PhD, associate member of Broad Institute and professor of pathology at Harvard, and David A. Hafler, MD, professor of neurology and immunobiology, and chair of the Department of Neurology at Yale. Marson and Kyle Kai-How Farh, MD, PhD, a clinical geneticist and postdoctoral fellow with the Broad Institute, are co-first authors of the Nature article.